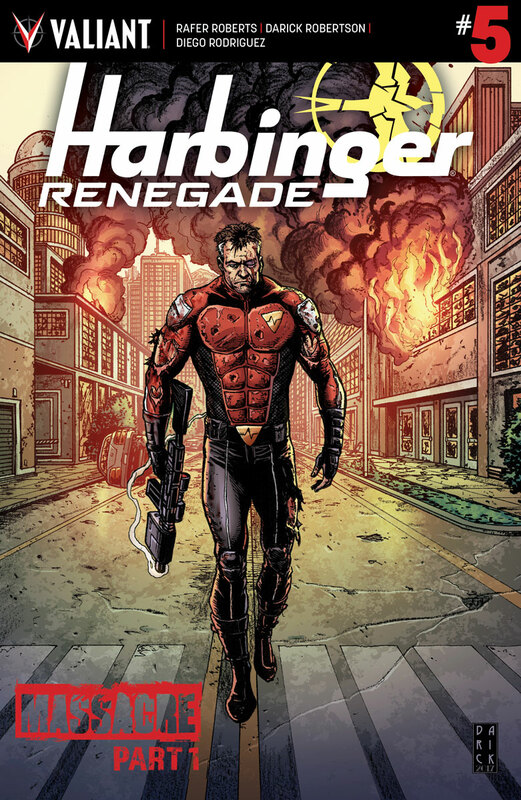 Rafer Roberts & Darick Robertson Lead THE ROAD TO HARBINGER WARS 2 with an All-New Jumping-On Point on July 12th! 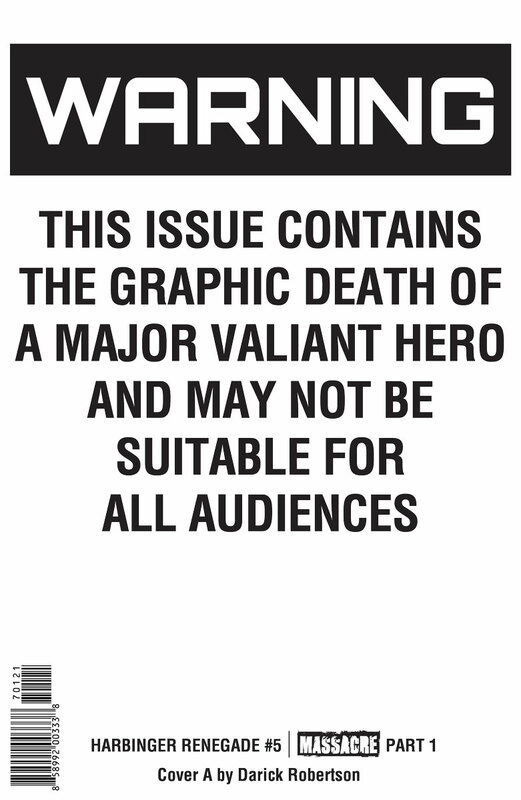 Retailers and fans, please be advised: Due to the shocking on-panel death in HARBINGER RENEGADE #5, Valiant will also be taking the unprecedented step of wrapping each issue in a specially manufactured advisory overlay – complete with a clearly marked warning label – that will ship on all copies of the issue at no extra-added cost. 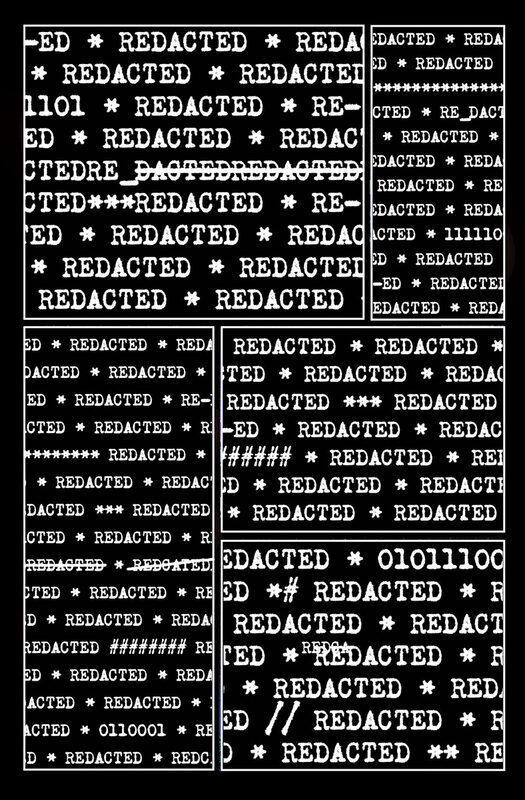 On July 12th, Rafer Roberts and Darick Robertson take the H.A.R.D. 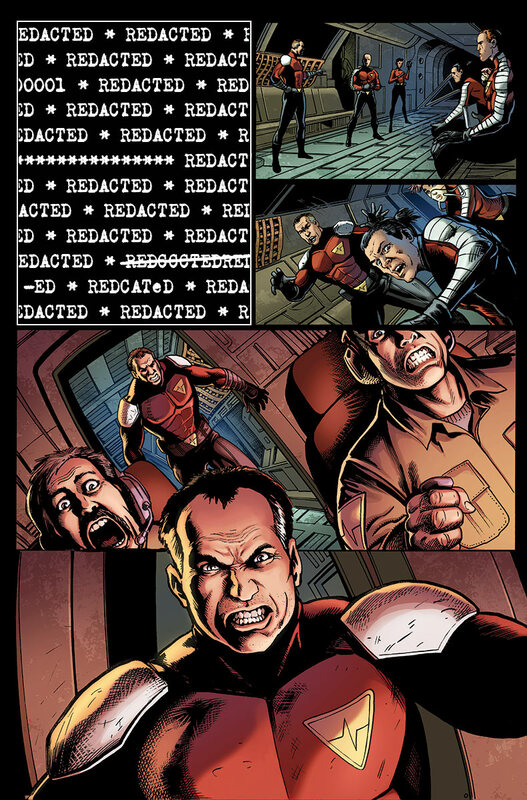 Corps out of the shadows and into the streets of a major American metropolis for a super-powered firefight that will forever mark the fall of an honored ally! 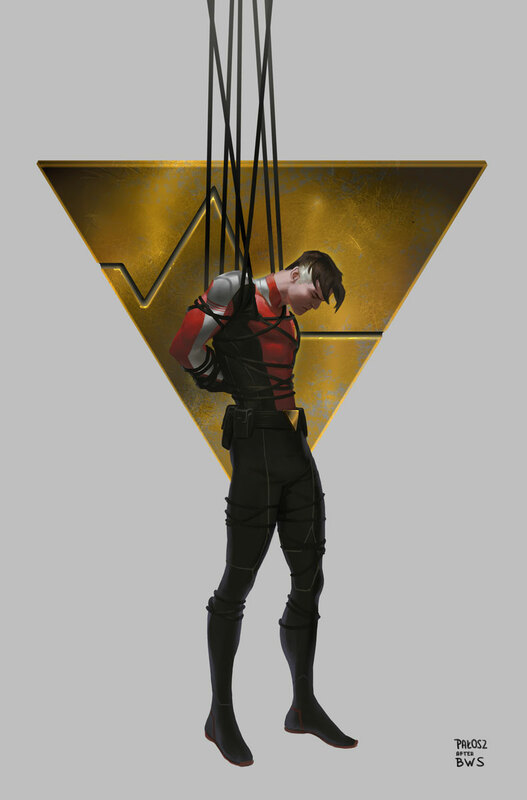 THE ROAD TO HARBINGER WARS 2 continues with a death felt across the Valiant Universe as “MASSACRE” begins with fear, fury, and fatalities, only in HARBINGER RENEGADE #5 – featuring covers by Darick Robertson (Happy! ), Giuseppe Camuncoli (Amazing Spider-Man), Clayton Crain (4001 A.D.), Marc Laming (Invaders), and Monika Palosz (DIVINITY III: STALINVERSE)! 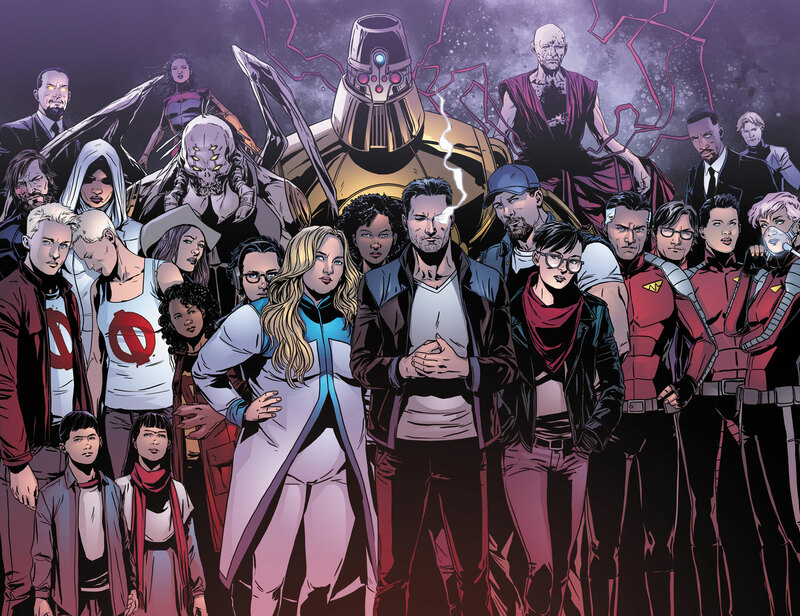 But first: THE ROAD TO HARBINGER WARS 2 kicks off in full force on June 28th as Livewire takes command of an extraordinary new team of recruits in SECRET WEAPONS #1 (of 4) – the FIRST ISSUE of Valiant’s hotly anticipated limited series! This summer, Academy Award-nominated screenwriter Eric Heisserer – writer of the internationally acclaimed, smash-hit motion picture ARRIVAL, as well as Valiant’s upcoming BLOODSHOT and HARBINGER feature films from Sony Pictures – joins forces with Harvey Award-nominated artists Raul Allen (WRATH OF THE ETERNAL WARRIOR) and Patricia Martin (BLOODSHOT REBORN) to bring Livewire and her unlikely squad of superhuman outcasts into battle against the cybernetic killer known as Rex-O…and show the world what it means to be a secret weapon! 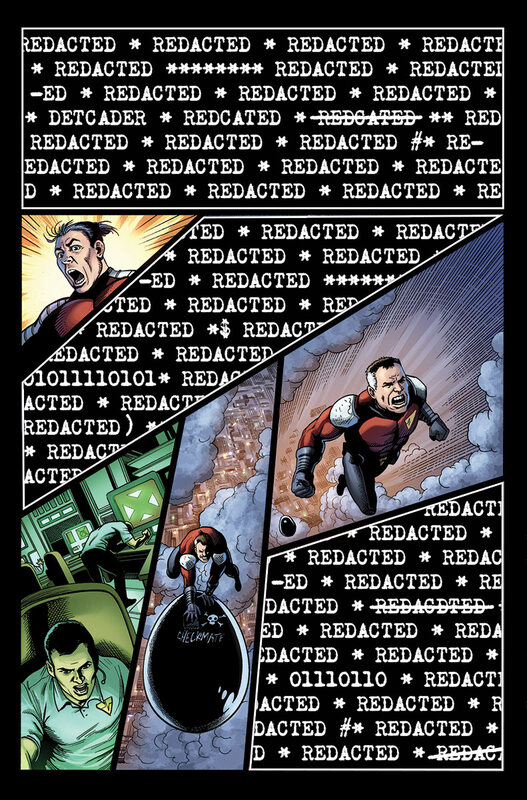 Featuring covers from Raul Allen (NINJAK), Jelena Kevic-Djurdjevic (Thor), Roberto De La Torre(Daredevil), and Bryan Hitch (The Authority), master storytellers Eric Heisserer and Raul Allen begin the summer’s most talked-about adventure on June 28th, only in SECRET WEAPONS #1 (of 4) – presented in the deluxe VALIANT PRESTIGE format!